I want to share with you statistics about the most effective Steemit curators in Polish category. This statistic is not about how much the authors or curators have earned. This statistics shows the list of curators, whose contribution to the reward pool distribution is the most significant. Once I have published a post where I made a researsh what categories are most profitable on Steemit. This time I even made a last week rating of the national and language communities included in the TOP-100 categories for total rewards. You can find an actual information about TOP 50 categories rewards in this post. You can see here that Polish category took one of the largest part of the reward pool on that week. 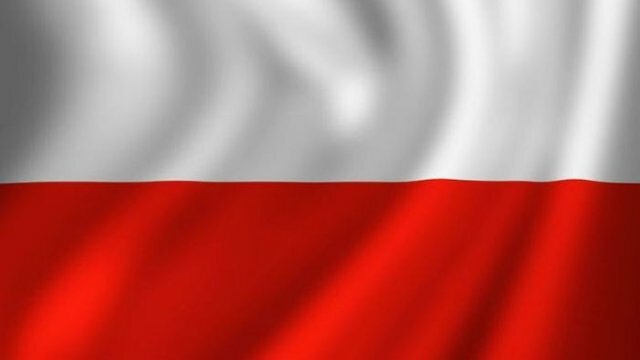 Looks like Polish community is one of the biggest and strongest on Steemit. So I decided to made a top of the most effective Steemit curators in Polish category. You can say that there is nothing interesting in this statistics. That it is clear that the reward pool is distributed by whales. But! The most interesting thing is how the curator distributes the reward pool. He can vote only for his posts and his comments. He can vote for a selected circle of authors and affiliated accounts. But also he can vote for a large number of authors who publish interesting content. Thus, an effective curator is a curator who has sufficient Steem Power (he can be an investor or a popular author who has earned his Steem Power by publishing interesting content), devoting time and effort to the content curating at Steemit and distributing a reward pool in favor of the authors. And the efficiency level is estimated by how much SBD curator distributes among as many authors as possible. Votes - Each curator distributes a certain part of the reward pool with his votes (upvote / flag). Authors - This part of the pool he distributes between a certain number of authors. VAS (vote average strength) - For general awareness, we can estimate the average vote strength in percents (%), with which the curator votes. Contr. (SBD) (Contribution in SBD) - The distributed part of the pool is the contribution of the curator, it is calculated in SBD. In this case, the author's reward is taken into account. The curator's reward is not taken into account. Share % - The percentage of the curator contribution among the contributions of all curators, we can also estimate for information purposes in %. Eff. - The effectiveness of the curator is estimated in conventional units and is calculated as follows. The total number of authors who published their posts for the period under study is determined. Then the contribution of the curator is divided by the total number of authors, and then multiplied by the number of authors for whom the curator voted for the period. Thus, we see that, having distributed even a smaller number of SBD between a larger number of authors, the curator can be more effective than other curators. At the same time, having a greater voice power, but not actively voting, supporting a small number of authors, the curator takes a lower position in the rating. 78 authors published their posts during this week. 1316 accounts participated in the content curating according to information from the database. 8327 votes were made during this week. 355,72 SBD - is the total author rewards for this week. I took all vote bots (most of them are working like pay for vote) in the separate table. Because we can't call them effective curators. Their work depends on authors payments and activity. If you know another bots in the list above please tell me about it. Now you know all these heroes. Their daily work gives hope to some authors, and some even a decent income. Their work attracts new authors in Steemit. All information is prepared by querying data from a SteemSQL - SQL database containing information from Steem's blockchain, as well as by calculations based on this data. Special thanks to @arcange for SteemSQL and for the advice provided to me during the development of this project.